Homepage > From the Editor > Shawn McMullen > What Are You Doing About Biblical Illiteracy? What Are You Doing About Biblical Illiteracy? It’s mid-summer, but many people are already anticipating the fall and the launch of a new year of church programs that come with it. What will your church do for adult Sunday school this year? That’s a recurring question in many churches. As biblical literacy continues to decline, churches are desperate to address the problem. The answer must come from careful planning and long-range consideration. When the current topic is about to conclude is no time to begin thinking about the next. 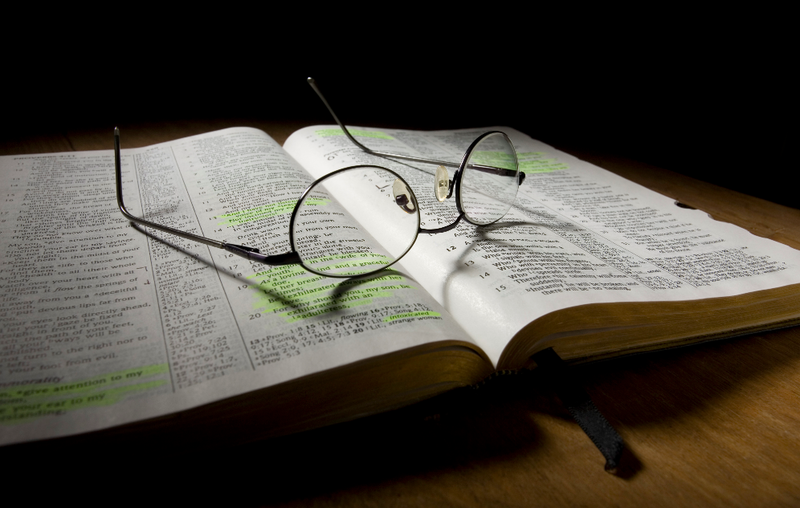 Sunday school classes need to take a comprehensive view of Bible study. Teachers need a plan that will drive them to every part of the Bible, not just the same favorite texts in a recurring cycle. This is the mission of the Standard Lesson editors at Standard Publishing. The Standard Lesson family includes Standard Lesson Commentary, Standard Lesson Quarterly, and Standard Lesson Resources. Based on the Uniform Series (International Sunday School Lessons), these products provide the tools for comprehensive Bible study. The Uniform Series has been around since 1872, and Standard Publishing has been involved with it since very near the beginning. Our Standard Lesson Quarterly student book, Adult Bible Class, has been in continuous production since 1876! The Uniform Series includes every book—or nearly every book—of the Bible in every six-year period. It does not start at Genesis and work its way to Revelation; rather it intersperses Old Testament and New Testament studies in eight recurring themes. New Testament study, and especially the Gospels, are given priority. This fall the lessons are based on a “Creation” theme, with lessons drawn from Psalm 104, Genesis, and Exodus. The concept of creation applies obviously to the origin of the universe, but it also applies to the beginning of a people, the beginning of a nation, and the beginning of traditions that point to Christ. The spring quarter brings the theme of “Tradition,” and the lessons come from a wide variety of both New Testament and Old Testament texts. It’s one of the most eclectic quarters we’ve seen, with lesson texts coming from 14 different biblical books. It climaxes in May with a look at Jesus’ use of Scripture. By next summer we’ll be studying a quarter with the theme of “Community.” Most of the lessons are drawn from Paul’s letters to the Corinthians. If you want a Bible study plan that addresses the problem of biblical illiteracy, take another look at the Standard Lesson products. Perhaps this fall will be a good time to begin this Bible study plan in your church. In fact, we’d like to help. Go to standardlesson.com/jon-underwood-contest/ and sign up for a chance to have me come and teach the Sunday school lesson on September 1. I’d like to come and share personally with your church from the Standard Lesson Commentary! Jonathan Underwood is senior editor of Standard Lesson Commentary.